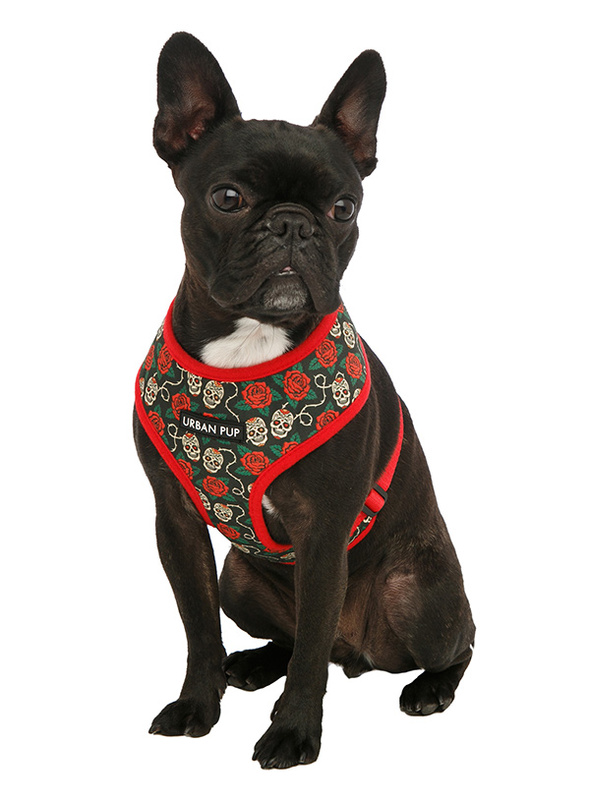 Lets get, lets get rocked with our tattoo inspired Skull & Roses Harness which is a contemporary style with a strong visual pattern that is right on trend. It is lightweight and incredibly strong. 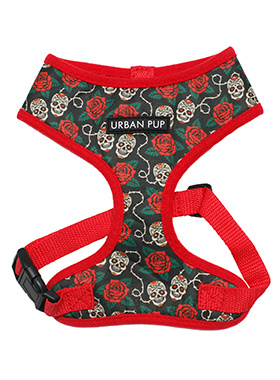 Designed by Urban Pup to provide the ultimate in comfort, safety and style. It features a breathable material for maximum air circulation that helps prevent your dog overheating and is held in place by a secure clip in action. 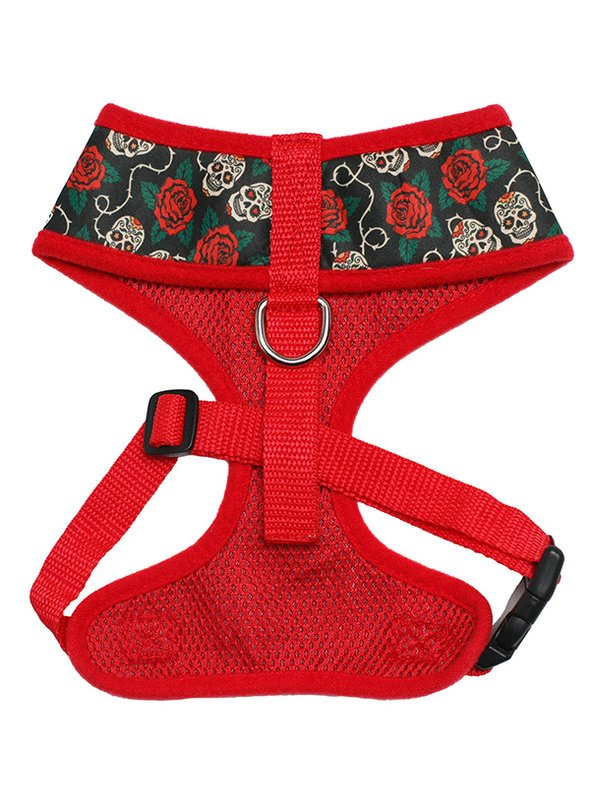 The soft padded breathable side covers the dogs chest and the lead clips onto the D-Ring between the shoulder blades. A matching lead is available to complete the outfit. 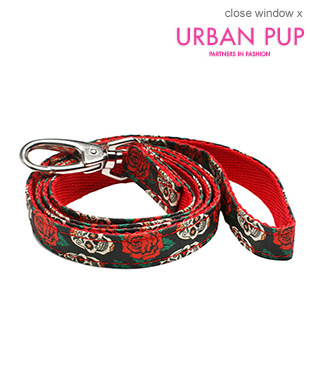 Add Matching Skull & Roses Fabric Lead?